SMASHDOWN! 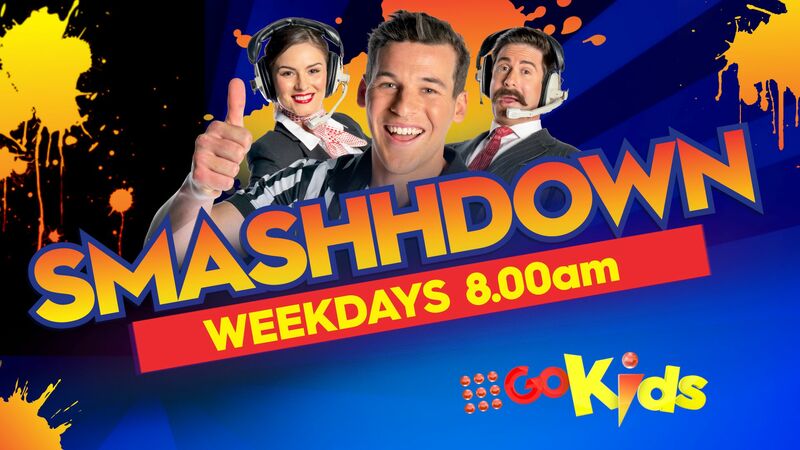 Nine&apos;s high energy sports game show for children, is the ultimate school holiday boredom buster. Host Andy Sunderland and comedy commentary duo Michael Balk and Briana Goodchild will be joined by sporty kid-competitors to find Australia&apos;s No.1 junior all-rounder. SMASHDOWN is an exciting show with a stellar format: from the locker room to the lab, from the field to the laundry, no area of sports is off limits. So strap yourself in for a smashing good tournament!